You can’t fail to notice the significant contribution African women judges have been making in international courts and tribunals in recent years. From the Ugandan judge Julia Sebutinde at the highest United Nations Court, to South African Navanethem Pillay, once head of the Rwanda Tribunal, to many individuals at the International Criminal Court. But what do we know about how they became judges and what effect their presence is having on issues of justice? 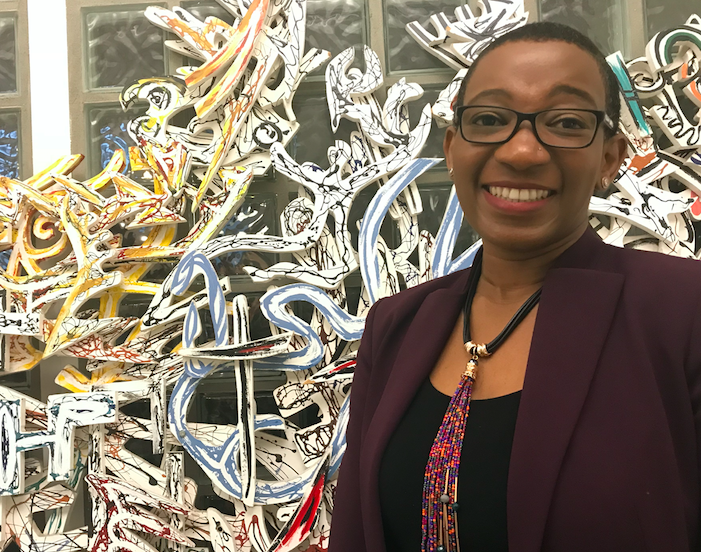 Josephine Jarpa Dawuni, Assistant Professor in the Department of Political Science at Howard University in Washington DC focuses on the politics behind the judiciary in Africa. Most recently she’s been researching women in the legal professions across the continent of Africa. With her co-author Hon. Akua Kuenyehia, Dawuni recently launched a new book “International Courts and the African Woman Judge: Unveiled Narratives” which examines these women judges and explores questions of gender diversity and representative benches. One of the key fallacies she wants to challenge is that somehow these women only got to their high offices through ‘tokenism’. Dawuni wanted to make it clear that these women have made it under their own steam and deserve every achievement they have notched up in recent years. “Even though there are still issues with lack of transparency [on international voting], there is nobody who can say that these individual women are serving in the international courts because they are token women,” she said. 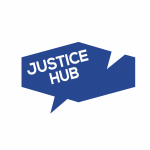 Justice Hub: Why is this book needed? Dawuni: The book is needed for lots of reasons. One is it contributes to the growing scholarship and literature on gender and judging. The need to focus on why we need women as judges. And also recognising that women have been judges for a long time, we need to know the pathways to which they became judges, whether at the domestic or international level. But particularly for this book, it’s one that fills in the gap on the lack of knowledge about women from the continent of Africa and the ways in which they’ve entered into judiciaries at the domestic level and have been able to rise to the international level to serve on courts like the International Criminal Court (ICC) and the International Court of Justice (ICJ). What most people would not know is that at the time I started doing this research, and even with the last elections to the ICC in 2017, African women constituted the highest number from any region of the world serving on the bench at the ICC. The European group WEOG (Western European and Others Group) has the highest number of judges, but only a few women. So there is a paradox going on there, that the continent that has the highest number of judges has the least number of women. And the African continent, if you look at it in terms of numbers, is the largest group, has had fewer judges but most of them are women. So what is it that is going on in the continent that we need to look at? Campaigns like GQUAL (the campaign for gender parity in international representation) are doing a really good job of getting us to be aware and conscious of asking questions: why fewer women? It’s necessary that we learn from places that successes have been made and through those successes, we can begin to develop strategies that cut across race and regions of the world and help us push forward the agenda for more women. Justice Hub: Do you see young women in Africa starting to potentially belive that they too could become judges? The concluding chapter in the book is titled “Unlocking doors, leaving a legacy”. It is all about unlocking the door for the younger generation. It doesn’t have to be an African girl or a black girl. It is about any girl out there or any woman or minority who feels his or her place mirrors the examples of the women in this book. It is about those who can look at the book and say these lives have unlocked a door for me. They are leaving a legacy, that tells me that they set a path, that they have trailed a blaze, that I can follow and mimic, holding on hope upon hope that no matter what the challenges and global perceptions are, that I as an individual can achieve my individual goals and aspirations. There are seven judges that I cover. but I just want to point out that there are some common patterns and of course differences in their stories. You find out that these were women some of whom accidentally found themselves in law schools. There was no role model for them, they didn’t know about the legal profession. And for one reason or the other, they met someone and they ended up being in law school then began their trajectory. Others because they were told they were very smart, so maybe they should be lawyers. So there are particular ways in which their stories can be used as role models for others to realise that opportunities now exist and it’s for you to actually move on as an individual to achieve your ambitions. There will be many challenges across Africa. But the fact is we are making progress in terms of getting women on to the courts and not just at the international level – domestically, African countries have recorded really high numbers. Lesotho has over 60% of women in their judiciary, Zambia has similar numbers as well. Justice Hub: Can you give an example from the book? If you look at the story of a judge like Judge Julia Sebutinde [from Uganda] it really challenges some of the misapprehensions that exist at the global level. Unlike others, Judge Sebutinde didn’t have a powerful government rallying behind her, promoting and helping her with her campaign. She had to do it all by herself, using her own money to go round to campaign and lobby for her nomination. Even though there are still issues with lack of transparency [on international voting], there is nobody who can say that these individual women are serving in the international courts because they are “token women.” No one can say that “oh Judge Sebutinde is on the ICJ because of politics”. No. It is a lot of personal agency and that is what I want others to know; no matter what the circumstances may be around you, your personal agency goes a long way in helping you achieve your goals.